Surprisingly, there are more verses containing the word “peace” in the Old Testament book of Isaiah (King James Version) than in any other book of the Bible. The central occurrence (15 before, 15 after) is in our text, speaking of those whose feet travel with the beautiful gospel (that is, “good tidings,” mentioned twice in this verse) of peace. The one proclaiming this gospel is said to be publishing salvation, announcing the imminent reign of God the Savior over all the earth. The first mention of “peace” in Isaiah speaks of the coming King and His reign, and so does the final occurrence. First, “the government shall be upon his shoulder: and his name shall be called . . . The Prince of Peace” (Isaiah 9:6). Then, in Isaiah’s last chapter we read, “For thus saith the LORD, Behold, I will extend peace to [Zion] like a river, and the glory of the Gentiles like a flowing stream” (Isaiah 66:12). This wonderful gospel of peace is specifically mentioned just twice in the New Testament. The first is a direct quotation from our text. “And how shall they preach, except they be sent? as it is written, How beautiful are the feet of them that preach the gospel of peace, and bring glad tidings of good things!” (Romans 10:15). 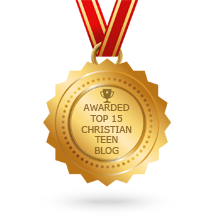 This entry was posted in A CLICK A BLESSING TODAY, CHRISTIAN NUGGETS and tagged The Gospel of Peace. Bookmark the permalink.